Comanauts Preview: What is a Comazone? Explore the different zones of Martin’s mind! “Intense nausea seizes you, and when you reopen your eyes, you find yourself standing in the backyard of a modest house. Endless prairie stretches out around you, broken only by fences and the occasional building or tree. An old barn sits in the distance, and eleven pieces of clean laundry flap nearby on a clothesline. You look up at the sky and see it is unbroken by clouds, and a feeling of dread settles upon you, tightening your chest, as if a malign force is gazing down upon you. The old house suddenly feels like refuge, and you open its creaky screen door and step into a homey kitchen, the scent of freshly baked cookies filling your nostrils. 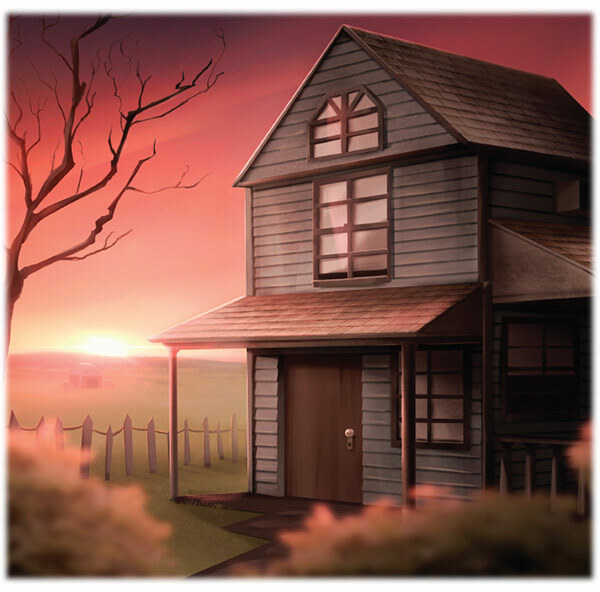 Aside from the kitchen windows, and the flickering light of the television in the next room, the house sits dark and empty like the dead heart of an enormous beast. Welcome to the dying mind of Dr. Martin Strobal, and welcome to Comanauts! In Comanauts, players will take on the role of avatars and explore the eleven different comazones of Martin’s mind as they try to locate his inner child free him from the inner demons keeping him hostage. Each comazone is tied to an important trauma in Martin’s life, and as such each has its own inner demon associated with it. In today’s preview, we’re going to explore how comazones work, and how players will need to explore and interact with them to locate Martin and free him from his own mind. There are eleven distinct comazones to explore in Comanauts. Each comazone has a unique scenario to explore and overcome. When players first enter Martin’s mind, they’ll need to explore the area and attempt to gain access to clue cards. 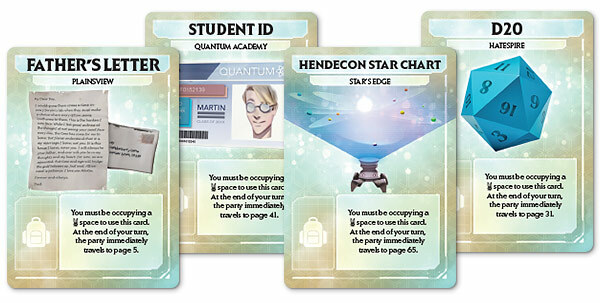 They gain access to these cards by gaining key tokens found throughout the current comazone. Each clue card in the game is tied to one of the inner demons holding Martin captive. 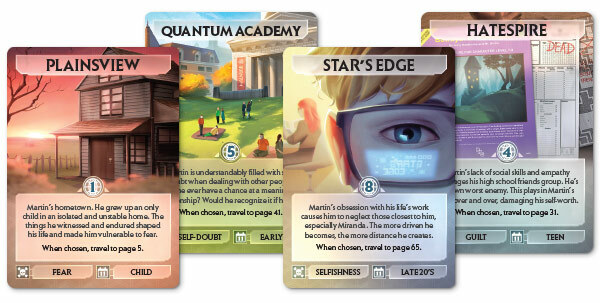 Players will need to work together to decipher the hints on each clue card to determine which comazone they need to travel to next, in order to locate Martin. Additionally, each time players draw a clue card they will also gain access to a totem card. Totem cards are accessory item cards that players will gain whenever they read a clue. Each totem matches one of the comazones in play, so players should analyze their clues to pick the totem they think matches the comazone where Martin can be found. Once players possess a totem card, they can use that card to travel from one comazone to another. This is an important step in locating Martin, so players should carefully analyze and discuss the clues they have found. By working together and exploring each comazone, players will begin to piece together the identity of the inner demon plaguing Martin. Defeat enough inner demons, and you just might be able to wake Martin from his coma. Next week we’ll explore how avatars allow players to explore Martin’s mind and move from one comazone to another. Remember, Comanauts is available for preorder from retailers and our own webstore now, and preorders placed from our website will include the exclusive Drake avatar! Comanauts will be available from our webstore and retailers soon, so be sure to preorder now! Join us next week for another preview!